It seems as though months are coming and going at an alarming rate but nonetheless I can say I am enjoying the ride. Today’s T-SQL Tuesday party is hosted by Jason Brimhall (B | T) T-SQL Tuesday #38 – Standing Firm. Jason has provided a three word topic that entails the words resolve, resolute, and resolution…given these three words one must come up with a story based on one of them. I believe I have chosen mine and have taken a somewhat different spin on it and how I applied it to T-SQL and my DBA career. The word as some various meanings but pertaining the expression I would like to use; I will use it literally as a noun “A determination or decision; a fixed purpose”. Many of us who are DBA’s (which I am proud to be one) have all taken various routes, various avenues if you will, along the way to get where we are at. Growing up I had a passion and desire to play the game of basketball. I would train very hard; my days would consist of waking up at 4:00 a.m. prior to school, go to the gym where I would meet my assistant coach, shoot 700 jumpers and 100 free throws, shower and go to school, practice after school with team, and then repeat the same process daily. My summers consisted of going to various camps in the United States where coaches from all over would attend with my hope of one day gaining a scholarship. I am 6′ foot tall and not overly fast I was always told that I was too small to play college and too slow. The day finally came for me to graduate and guess what ~ I made it to college to play the game I had worked so hard at for so long. After my career was over now what? I started out in Physical Therapy but a friend of mine showed me a program he had developed. Once I saw the inner workings of what he was doing it I was intrigued and went down the path of becoming a developer to which led me into the DBA world. You know what; along those same lines I got the same rhetoric from people….”You can’t do that; you don’t know enough”; “You can’t do that; stick with sports its to long of a road for you”. Resolve – a determination or decision; a fixed purpose. You see I had a fixed purpose when playing basketball. I knew what I wanted and where I wanted to go. The same can be said with becoming a DBA or if you have a desire to learn something in T-SQL; if you have a desire to learn something new in SQL or track down a long running query and improve it; show some resolve – have a fixed purpose. Don’t ever let anyone stand in front of your dreams to become something you want to be. It takes hard work and dedication and a drive to become not just a good DBA but an exceptional DBA. In the end you will build a strong character and life values. What I learned on the court has carried over to my work habits. I love being part of a team, but I also enjoy when the game is on the line and SQL tasks are at hand and it is fourth quarter and systems are down I want to be the one to take the last shot. I said all that to say this, if you are faced with “potholes” or “adversity” along your journey from a technical standpoint show some resolve. The community as a whole is here to help and don’t lose sight of your endpoint; granted that endpoint may change many times but remain purpose driven and adapt when need be. 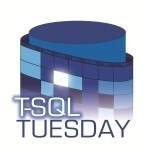 If you are interested in hosting a T-SQL Tuesday Party contact the founder Adam Machanic (B | T). It is a great way to get involved in the community and provide an avenue to share your ideas. This entry was posted in SQLServerPedia Syndication, T-SQL Tuesday and tagged TSQL2sDay, TSQLTuesday by Chris Yates. Bookmark the permalink. I like how you relate your basket ball experience to career and life. Thank you for sharing! Hope to meet you on one or more SQL community events. It’s amazing to me how many things stuck with me through past experiences like that. A brilliant and genuinely inspirational story Chris. It’s funny how the rigors of sports training, particularly the mental fortitude, can crossover into other areas of our lives. Makes me think of this YouTube video that I like to watch before heading out to boxing training, “When you want to succeed as much as you want to breathe, then you’ll be successful”. Thanks John, I can say from my background that sports has played a big role in my mentality of everyday DBA duties. It’s been a fun ride and I appreciate you sharing this video. You’re welcome however I believe I provided a dud link. Here’s what it should have been.